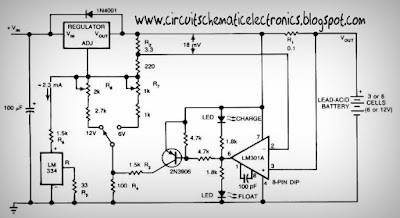 This circuit ti charger battery cells up to 3 battery , this charger use an IC LM301A , IC LM334 and transistor 2N3906 for major surgery on this charger circuit. Maximum input voltage 14 volt for 5 battery. Ouput voltage 2,35 volt 180 mA for 1 battery. And the charger input voltage must be filtered DC that is at least 3 Volt higher than maximum required output voltage. 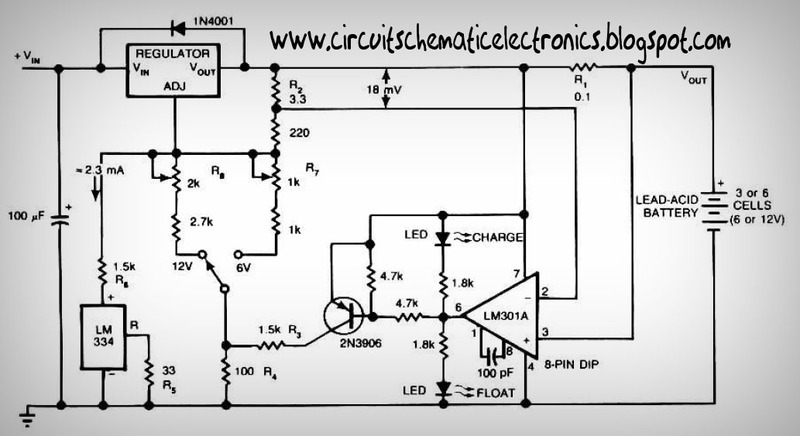 Above circuit furnishes an initial voltage of 2.5 Volt per Cell at 25 degree celcius to rapidly charge a battery . the charging current decreases as the battery cahrges , and when the current drop 180 mA , the charging circuit reduces the output voltage to 2.35 V per cell, leaving the battery in a fully charged state.